First of all, I want to apologise for leaving anybody who follows this site without news for so long. I assure you that the events of the past two months will be posted here. I hopped freight trains in Minas Gerais, was arrested, spent 1 month in the USA, squatted on the streets of Belém for 11 days, and more. Sadly, it may be some time before I can get them up, as I am deep in the jungle without Internet or electricity. Excuse this break in the normal rythmn of the posts; I need to post this now, while I have the chance. I am currently hitchhiking along the Trans-Amazonian highway through northeastern Pará, on my way to a microscopic town that Google Maps does not show, near the border with the Brazilian state of Mato Grosso. So I chose Mundico Coelho, the last stop on a dead end gold mining road in southwastern Pará, as the starting place for my journey. I will float 1.356 km (842 mi) down the rivers Mapurá, Crepori, Tapajós, and Amazon. My raft will be constructed of balsa trees, of which there are many here in the Amazon. River conditions along the Tapajós and Amazon are expected to be relatively danger-free, with reguards to rapids, as they are very wide and this is the height of the rainy season. River conditions along the Mapurá and Crepori are unknown. Will rely on information gathered from locals. Have spotted on SAT photos of the Mapurá what appears to be a waterfall about 100 km downriver from Mundico Coelho. Still not sure what to do about that. Perhaps will have to disassemble raft and pack it downstream. I am well equipped for jungle, with machete, hatchet, plenty of rope, quinine pills, jungle clothing, extensive fishing gear, various types of mosquito netting, hammock, tarp, and various pots and pans, compass, map, and GPS locator from 2002. I’ve spent the past week learning of edible plants (of which there are MANY here in the Amazon) from a farmer I met somewhere north of Amapú. While I fully expect to survive this journey, I am also fully aware of the dangers, and the fact that this adventure may be my last (there are no human habitations closer than 80 miles through jungle for the first 300 miles of the trip, most notably along the rivers Mapurá and Crepori). Yet I am a firm believer in the idea that no adventure is truly adventure without the very real possibility of not living to tell the tale. Anyways, I couldn’t think of a better final resting place than the heart of the most wild place on earth. If I do die, rest assured it will have been whilst doing what I love. My other adventures pale in comparison to this one, which is either the most couragous or the most stupid thing I have ever done. Either way…I’m all over it. Normacly and security were never my cup of tea, anyways. Hope to post here again. I really do like living and do not have a death wish, despite what some of you may think. Please don’t interpret this as a suicide note of sorts. I merely have a more…erm…flexible point of view, as to what level of danger is too much. For anybody interested, coordiates of Mundico Coelho are somewhere around 6° 55′ 49.8612 S, 56° 53′ 13.9446 W.
Chao, my friends. Until…we meet again. I visited the hospital here in Altamira to attempt to procure necessary medicines. After explaining my travel intentions to the nurse on duty, she took me to see the director, Dr. Vargeus. As luck would have it, he has been to the Crepori area, and was able to give me valuable information reguarding this river. Due to it being in a gold mining area, it is not as uninhabited as I was led to believe. In fact, Dr. Vargeus assured me there were several malaria laboratories along it’s banks, along with isolated pockets of population, mostly either miners or natives. However, my suspicions that the Crepori has a waterfall were confirmed, along with rapids. Despite this, the director assured me the river is navigated by local boats on a frequent basis, and that the rapids are not so trecherous. So, a few mysteries of the Crepori have been reveled. Hazards of isolation are expected to be somewhat less, while hazards of navigation may perhaps be more of a risk to my personal well-being. This, of course – like everything else, really – remains to be seen. 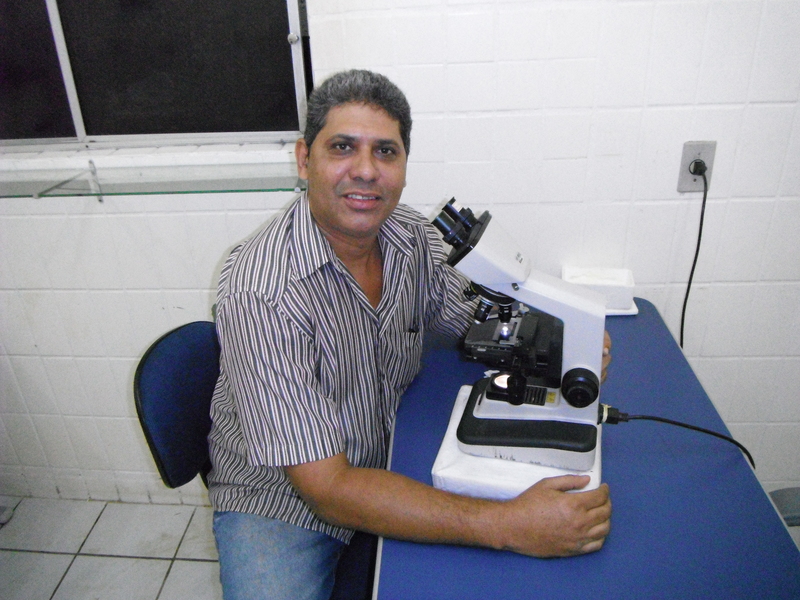 Dr. Vargeus has also worked along the sector of the Tapajós where I will be travelling. While there are no modern inhabitants, I am told there are more than fifty indiginous tribes who call this area home. I am assured that none of them are of the head-hunter variety. The director and another malaria specialist (Dr. Jorge) assured me that malaria is indeed a risk, though that I will probably be able to seek help should I fall victem. Still, I was given as a gift a mess of quinine and cloroquina, which he states “will not cure malaria, but will keep you from becoming incapacitated so as you can seek help in one of our laboratories.” I was also given 50 pills of sulfametoxazol trimetoprima, which I can use as an antibiotic, as well as a way to fend off extreme cholera for long enough to seek help. All without paying anything. 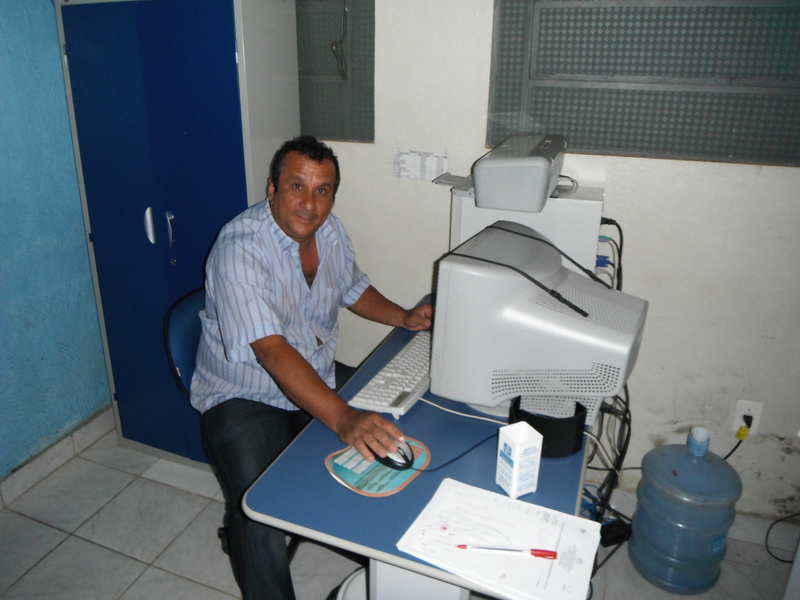 In fact, Dr. Vargeus gave me 10 reais and filmed me playing the harmonica in his office for twenty minutes. All right, now I’m really outta here. Go for it dude. I’m rootin’ like a mf’er for you, here in Tepic, Nayarit. You da man! Rock on bro, do ur thing! I wish u the best! dammit, it’s dangerous, but you did dangerous things earlier. Don’t die in Brazil, there’s still a lot of countries to visit. I don’t believe that you’ll die there so I ask you – don’t take unnecessary risk next time. You’ve seen much more than many of us, but I believe that there’s still a lot to see for you. You don’t have to go ‘into wild’. Take care brother wish you the best of luck on your journeys. bwahaha, didn’t expect any less from you, good stuff as always, go for it man!! Been reading your blog for a few months now dude, totally rooting for you on this latest adventure! Can’t wait to hear about it. Also it was nice of the doctors to help you stock up on meds. It’s good to see another gesture of humanity(not to mention respect for badassery) and not the typical US for profit healthcare system. Stories like this warm my heart. One of several I’ve heard recently after a break of like 1.5 years. I hope this recent trend keeps up. Human kindness is alive in every inhabited corner of the Earth – even the darkest ones. We live in a fucked-up world, but there’s still wonder to be sought, and unexpected beauty will suprise you every day.